Manage to build a powerful computing machine with the ASUS P9X79 WS Intel X79 Motherboard as your ultimate foundation. This CEB motherboard is designed to support Socket R (LGA2011) and 2nd Generation Intel® Core i7 processors, which make your computing performance in outstanding quality. 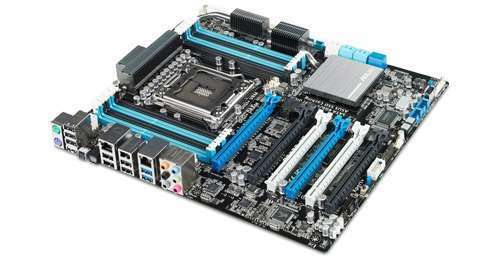 The ASUS P9X79 WS Intel X79 Motherboard also supports a 2400MHz DDR3 memory, which helps your system operate faster. Enjoy outstanding graphics qualities as this motherboard deliver support for SLI/CrossFireX Ready GPUs. 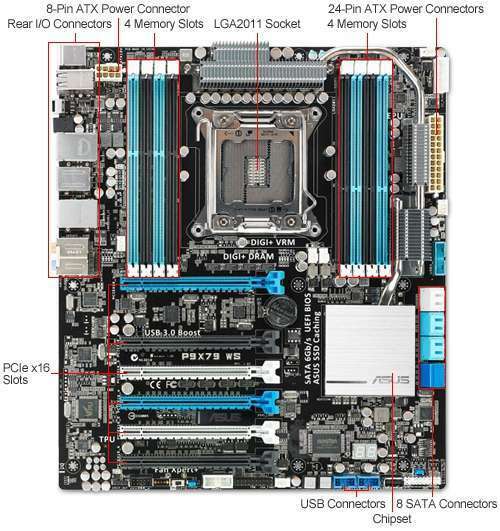 This motherboard is built with ports that are compatible with USB 3.0. Organize your ultimate computing machine by building it with the ASUS P9X79 WS Intel X79 Motherboard. Purchase it today.